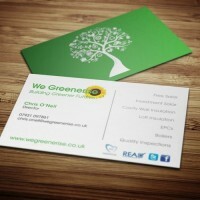 We design and print a wide range of customised professional business cards intended to make a lasting first impression. With our range of digital and lithographic printing presses we can offer a number of business cards printed on different card stocks and finishes, including our low cost digital range, spot colour pantone, premium full colour, matt laminated and spot UV options. Our digital business cards are produced on our xerox digital press. The perfect solution for small quantities are available same / next day. Maintain colour consistent branding with our range of Pantone business cards. 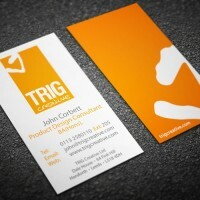 Our premium full colour business cards are our most popular litho card. 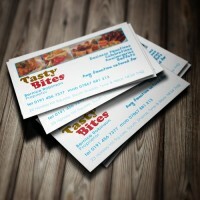 With these cards you are guaranteed to generate a fantastic first impression every time. 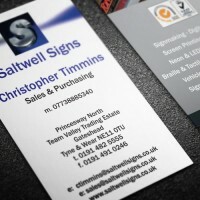 Our full colour matt laminated cards come with an extra special matt finish which makes the cards feel smooth and sleek. 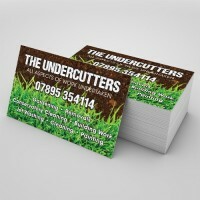 Our spot UV cards are a great way to highlight your logo when you need to create that lasting first impression.